Rhode Island was first discovered in 1524 by the Italian explorer Giovanni da Verrazano (1485 - 1528), who was acting on behalf of the French. He was followed by the British explorer Henry Hudson (1565-1611) who explored the area on behalf of the Dutch. The land was originally given the Native Indian name of Aquidneck which is derived from the Narragansett word literally meaning the "Isle of Peace." One of the Dutch explorers, Adrian Block (c.1567 – 1627), named the area "Roodt Eylandt" meaning "red island" referring to the red clay that lined the shore. The region was controlled by the Wampanoag tribe, whose leader was Chief Massasoit, the father of Metacomet who would become known as King Philip of Pokanoket. In 1635 the colonist Roger Williams was banished from Massachusetts for his religious teachings and in 1636 he settled in the area of Colonial Rhode Island naming the area Providence Plantations. Chief Massasoit eventually gifted Roger Williams with Aquidneck Island, Providence and Prudence Island for his friendship. English colonists from Massachusetts including Anne Hutchinson, William Hutchinson, William Dyer, John Coggeshall, William Coddington, Nicholas Easton, William Brenton, John Clarke, and Richard Maxson first settled in Aquidneck in 1638. 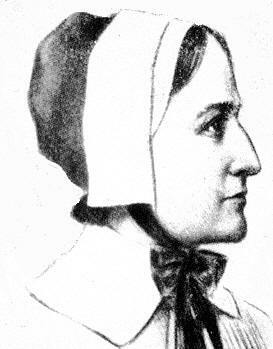 They were led by Anne Hutchinson who had been found guilty of heresy and condemned to banishment by the Civil Court. In 1644, the colonies of Rhode Island and Providence Plantations combined to form Colonial Rhode Island which would eventually become the State, of "Rhode Island and Providence Plantations". On July 15, 1663 King Charles II granted the Charter of Rhode Island and Providence Plantations. The Puritans dominated New England and were a Reform movement in the Anglican church that aimed at purifying the church of corruption. The religion of the Puritans who had settled in Massachusetts was strict and austere leading to dissent with many church members. The situation was so serious that Anne Hutchinson was found guilty of heresy and condemned to banishment by the Civil Court which led to the establishment of Colonial Rhode Island. The group of Nonconformists and Dissenters believed in religious freedom, and the separation of church and state whereas the Puritans in Massachusetts believed in a government and society tied to the church. The Rhode Island Charter of 1663 proclaimed that a "flourishing civil state may stand and best be maintained with full liberty in religious concernments." Other colonists including Catholics and Jews settled in Rhode Island which allowed them religious freedom. 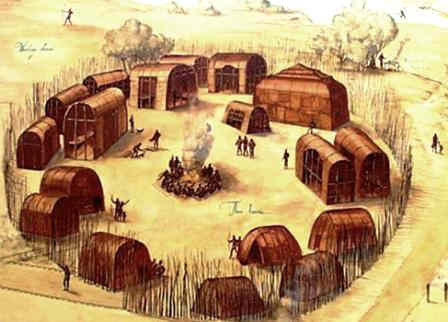 The Natural materials and raw resources available to the colonists in Colonial Rhode Island were fish, whales and timber from the dense forests. Farming was difficult for crops like wheat because of the poor soil but corn, pumpkins, rye, squash and beans were raised. The way of life in Colonial Rhode Island was determined by religion, wealth, status and how colonists could make a living. The majority of the workforce in Colonial Rhode Island consisted of manual workers, servants, apprentices, sailors, hired hands and semi-skilled tradesmen. These were colonists of the lower class could not vote nor hold public office. few owned property and most were illiterate. The lower classes were bolstered by Indentured Servants and some slaves. The Middle class citizens of Colonial Rhode Island could vote but few held public office. They ran stores or small businesses, were skilled tradesmen or belonged to professions. The Upper class consisted of wealthy and well educated minor aristocrats who could vote and held high public office. The economy of Colonial Rhode Island was based on manufacture and industries such as ship building and the manufacture and export of rum. The way of life focussed on town life. The way of life focussed on town life. The names of the major towns in Colonial Rhode Island were Providence, Portsmouth and Newport. 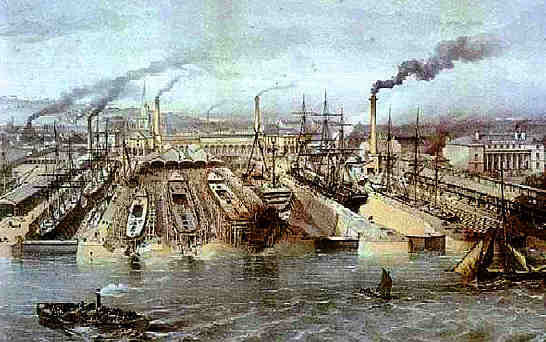 In towns along the coast, the colonists made their living fishing, whaling, shipbuilding and shipping. The economy of other parts of Colonial Rhode Island was based on timber products, the fur trade, maple syrup, copper, livestock products, horses, rum, whiskey and beer. When, how and why did Colonial Rhode Island become a State? On April 18, 1775 the American War of Independence began. The 13 original colonies, including Colonial Rhode Island, had not separated from Great Britain at the start of the war and there was no American government. Colonial Rhode Island had a system of government in which they elected their governors under self-governing rule. The 13 Colonies asked the Continental Congress to direct the war and Congress, unexpectedly, became the governing body of North America. On May 15, 1776 Congress advised Colonial Rhode Island and all the other colonies to form governments for themselves and write their own constitutions. Colonial Rhode Island was used to self-government and kept its existing charter as their constitution. 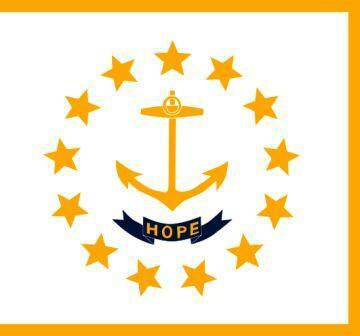 Rhode Island was the 13th of the original 13 colonies to become a state on May 29, 1790. 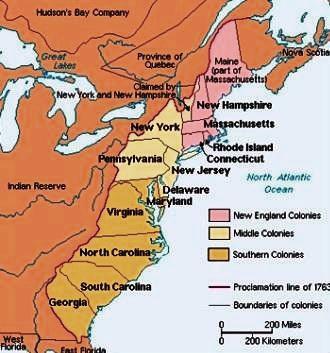 For additional facts and info refer to the Change from Colonies to States. This Colonial Rhode Island article provides important information and interesting facts about the Colonial Rhode Island including the history, the date the colony were established, geography, jobs, the system of government, religion, trade and the economy of the Rhode Island Colony. An easy, helpful educational resource for teachers, kids and children about Colonial Rhode Island.